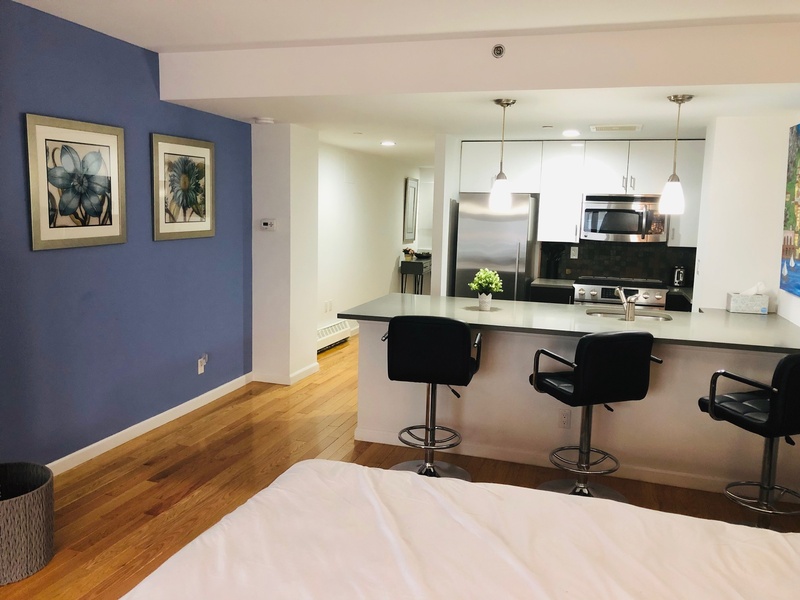 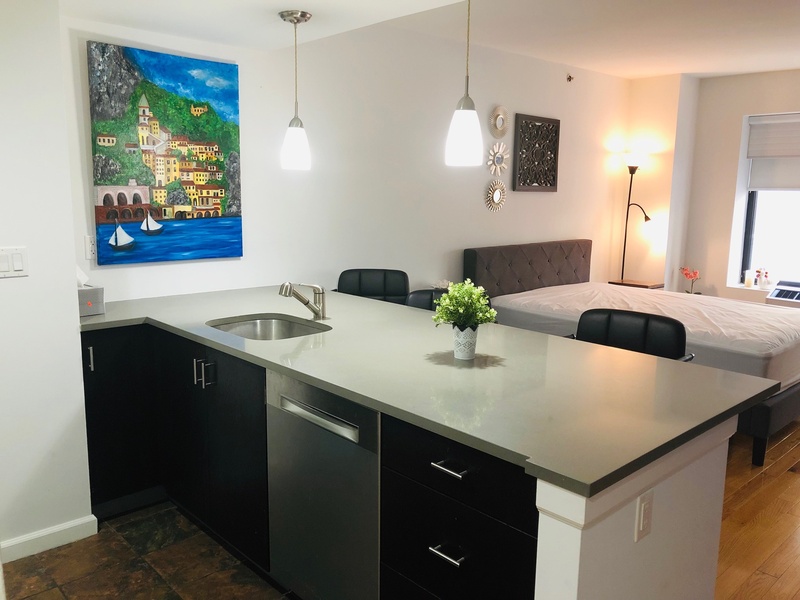 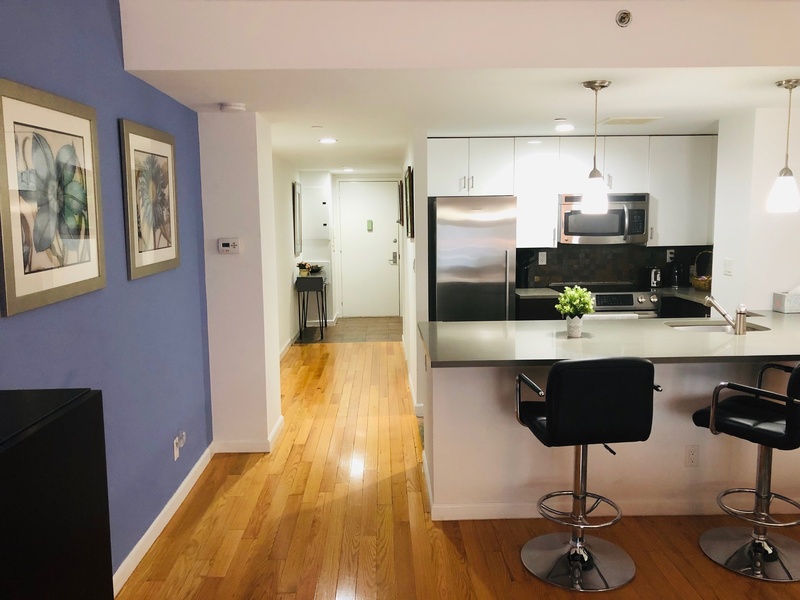 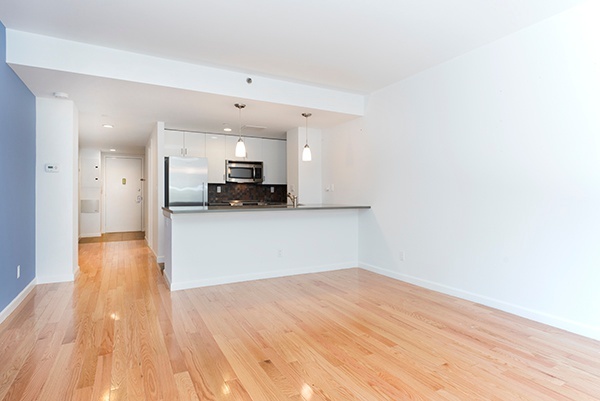 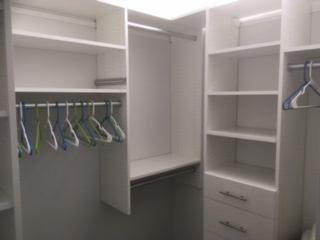 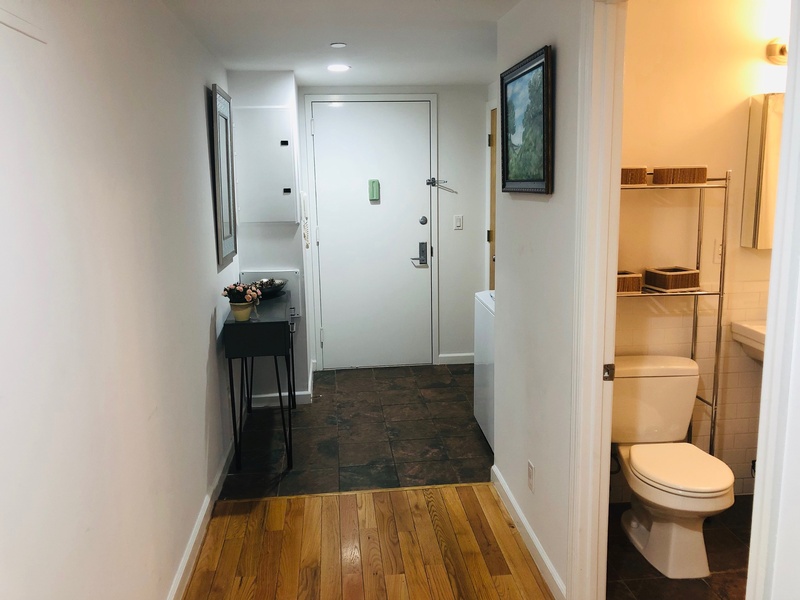 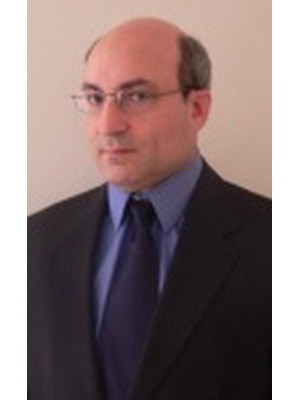 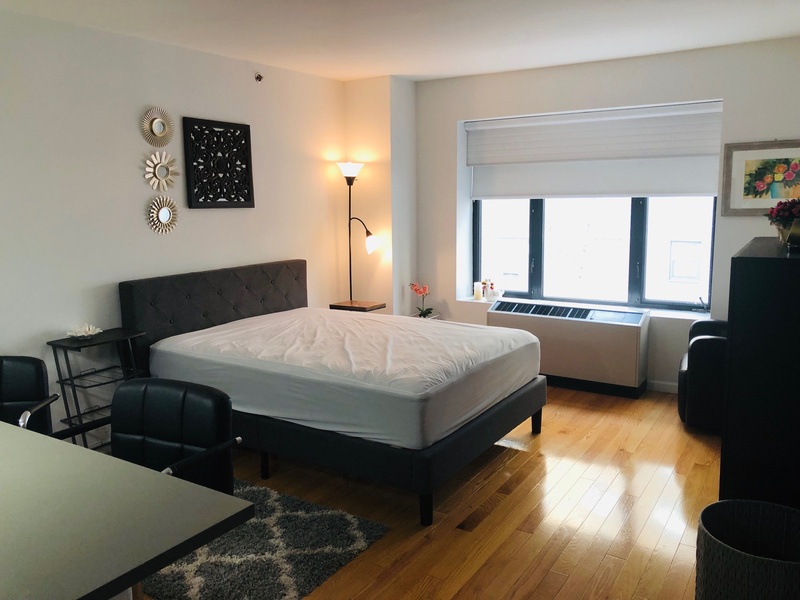 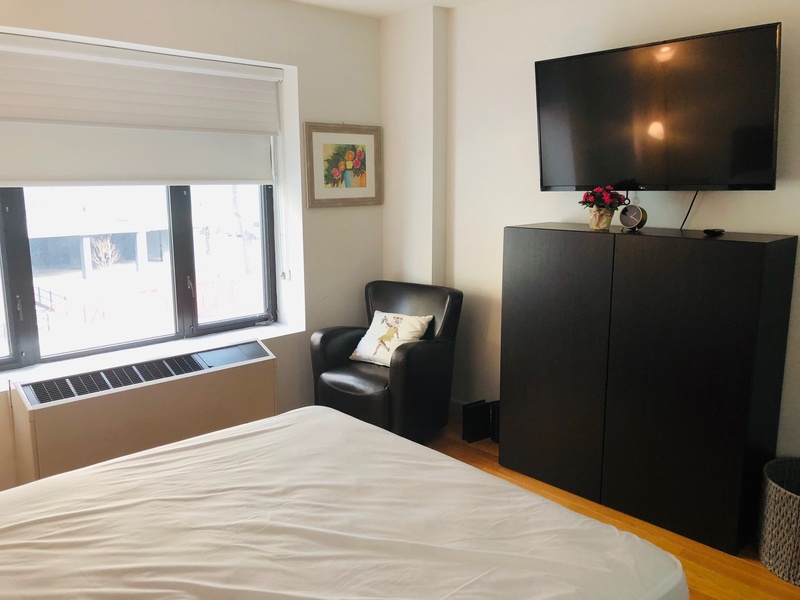 Doorman-Elevator Building-Gym-Roof Deck-Luxury East Village Studio Apartment for Rent by NYU - Furnished or Unfurnished. 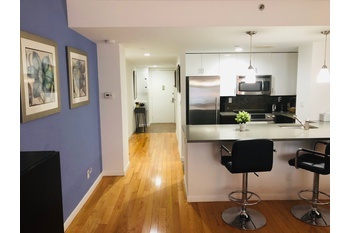 The CHEF open kitchen is equipped with clean white cabinetry and a suite of stainless steel appliances from Bosch and Fisher & Paykel. 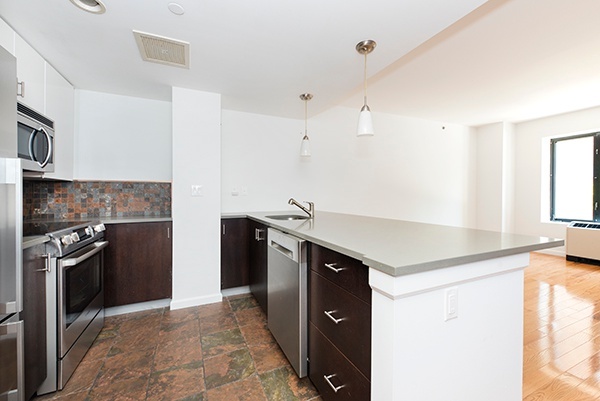 The Kitchen Island is massive, you can cater and entertain guests easily. 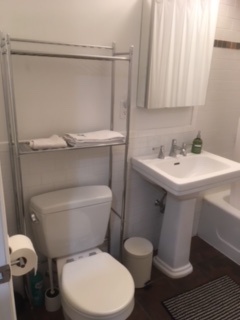 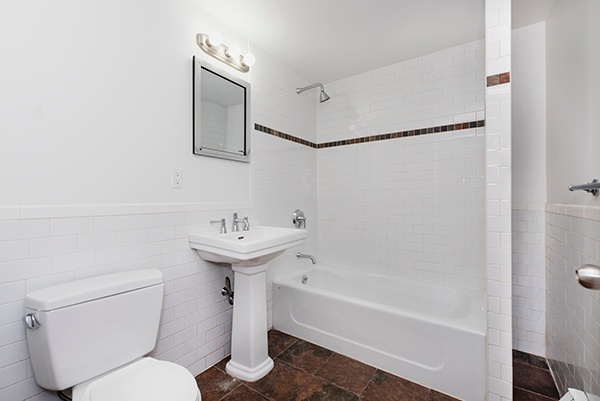 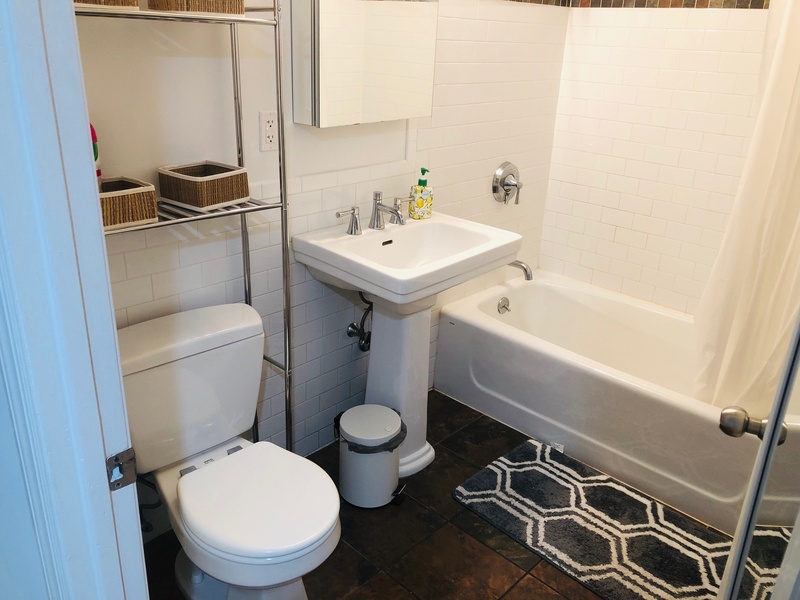 The bathroom has been recently renovated and features subway-tiled walls and an easy-to-clean tile floor. 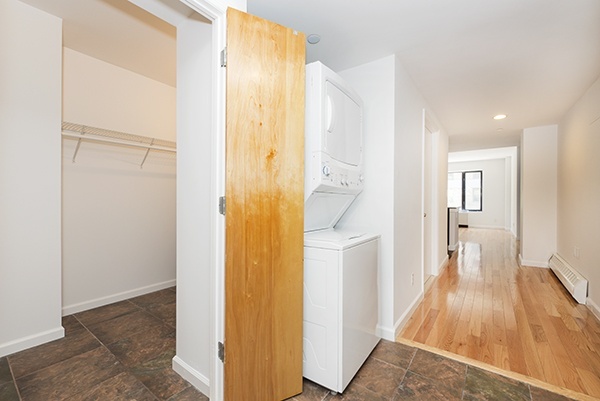 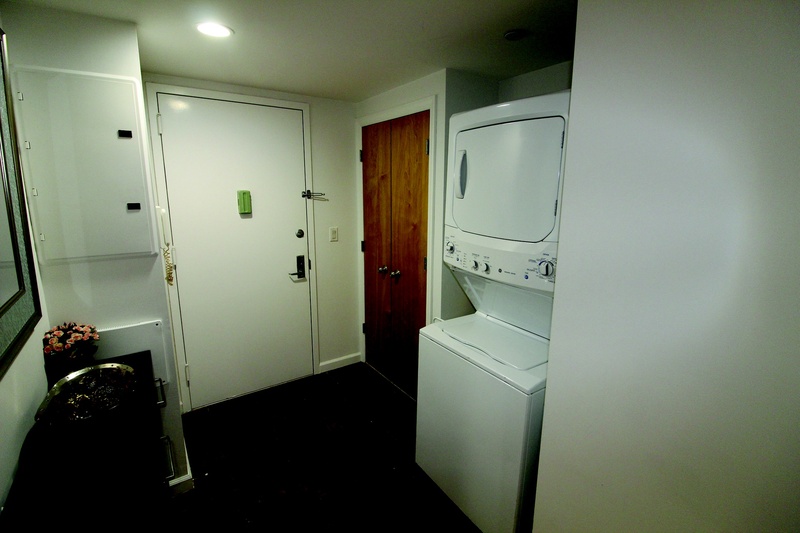 A GE washer/dryer is also conveniently included as part of the apartment. 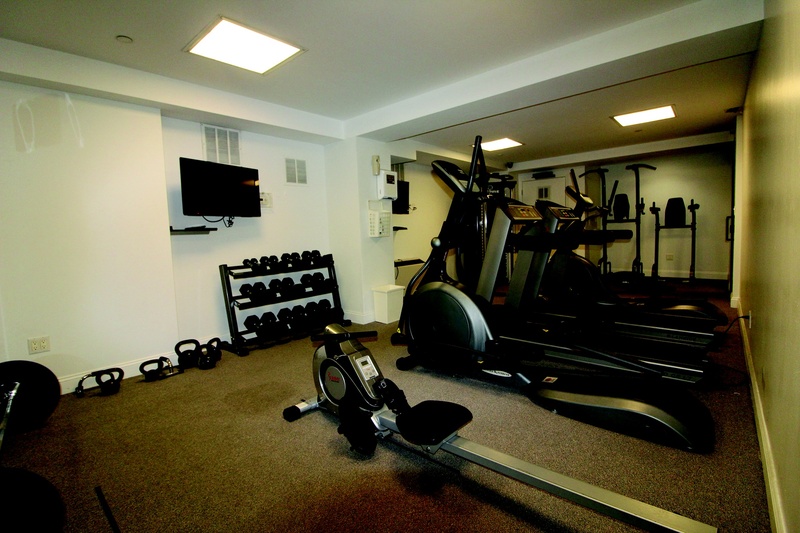 Designed by OTL Enterprises—the same firm whose passion and vision were behind The Blue Building of the Lower East Side—The Calyx is a full service condominium offering 35 residences dressed with groomed interiors, a fitness facility, a doorman, and a rooftop lounge boasting panoramic views of Manhattan. 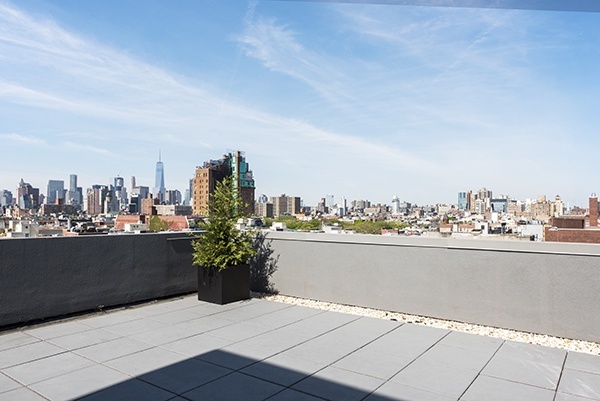 Pairing sophistication with the spirit of the East Village. 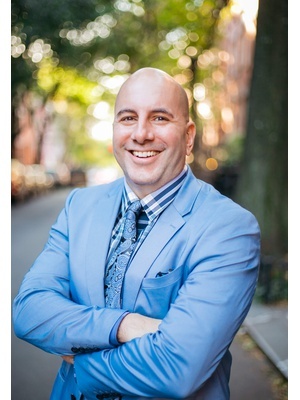 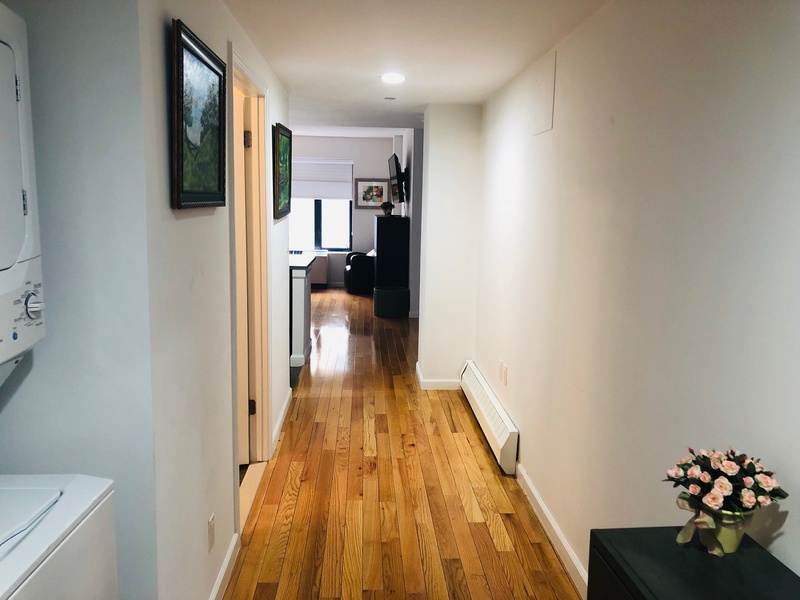 The building rises 10 stories and sits on Avenue C, an East Village strip lined with tasteful restaurants and cafes and located only a few blocks away from Tompkins Square Park and popular nightlife scenes. 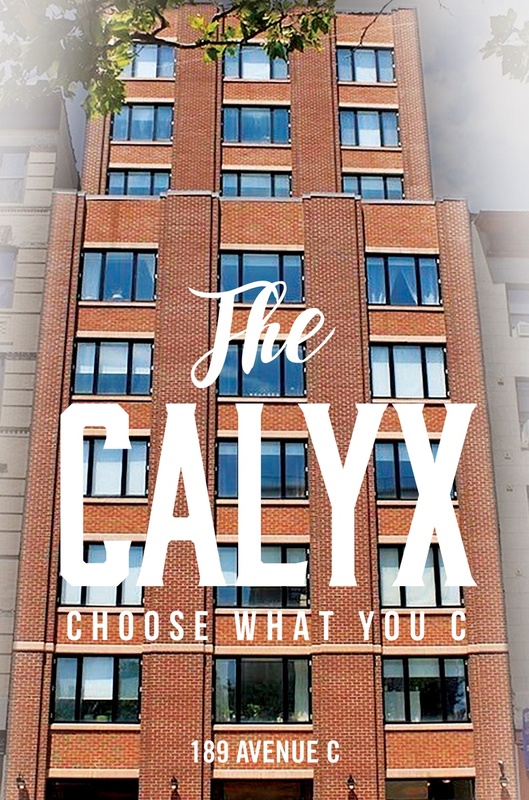 The Calyx is for those seeking to capture the energy of an evolving neighborhood, to experience the edge of the city’s past and the shimmering promise of its future. 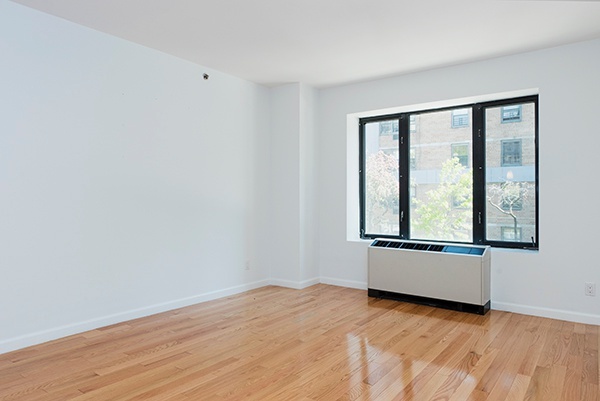 Nearby public transportation include the L train and the M14D/M9/M8 bus lines.